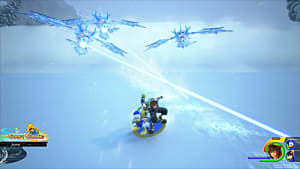 For almost two years now, Western Kingdom Hearts fans have enviously watched Japanese players enjoy Kingdom Hearts χ[chi], an online browser game set during the Keyblade War, a cataclysmic chunk of KH history that the main series only mentions. 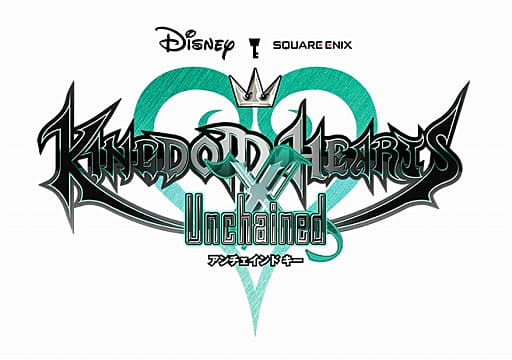 With the recently announced remake Kingdom Hearts Unchained χ (pronounced Kingdom Hearts Unchained Key) for iOS and Android smartphones, this crucial link to Kingdom Hearts III could be closer than ever to a global release. So not only is a global release planned, but Square Enix is already conducting tests in North America. 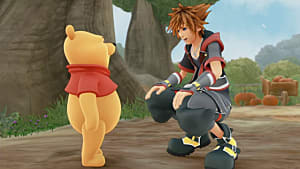 Nomura goes on to discuss plans to add language-specific servers and reaffirms χ[chi]’s plot-relevance to the highly-anticipated Kingdom Hearts III. The Foretellers: The five mysterious leaders of the Unions fighting the darkness all bear a mysterious resemblance to five prominent characters in the main series. 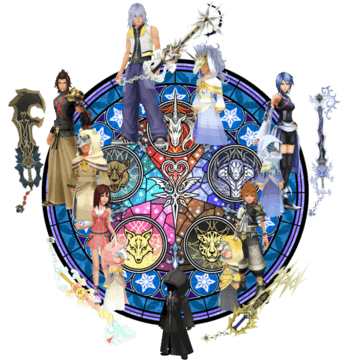 Additionally, each of their Keyblades bears an “Eye of Darkness,” as seen throughout the series on weapons such as Soul Eater, Way to Dawn, Void Gear, and, of course, Master Xehanort’s Keyblade. There is also a sixth Foreteller whose appearance and motives remain obscured. 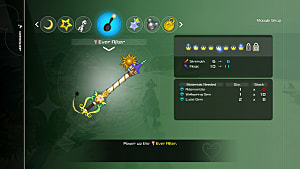 It’s been speculated that the Unknown’s Keyblade follows the “Eye of Darkness” trend and is actually Master Xehanort’s own Keyblade, which is described as “the most ancient” of those passed down throughout the generations. 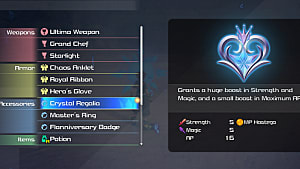 This would connect the Foretellers directly to a recent Kingdom Hearts III teaser. The Book of Prophecies: The tome bestowed on the five Foretellers of the Unions not only alludes to Master Xehanort’s plan to restart the Keyblade War, but is specifically brought up by Maleficent in a scene exclusive to the Re:coded movie, foreshadowing its continued importance. 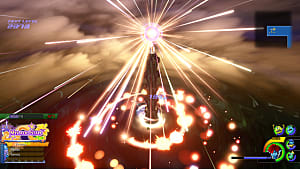 Its ability to transcribe future events and even conjure entire worlds sets up the Book of Prophecies as a major plot point of Kingdom Hearts III. Illusionary worlds: In χ[chi], Ephemera claims that the Lux you’re collecting belongs to Daybreak Town and that all the other “fairytale worlds” are just illusions stemming from the Book of Prophecies. 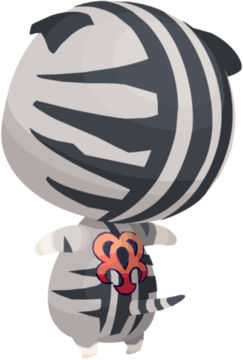 Later, Chirithy is revealed to be a Spirit Dream Eater, a class of creatures once exclusive to Dream Drop Distance. This means Daybreak Town might not just exist thousands of years in the past, but could very well exist in the main series’ present, trapped in the Realm of Sleep. 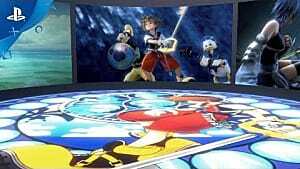 With so much of Kingdom Hearts III’s plot revolving around saving those lost to the darkness and the “Key to Return Hearts,” Daybreak Town could easily make a reappearance. 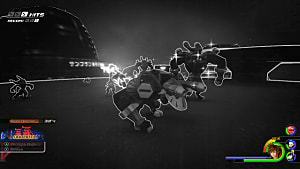 With each update, χ[chi] becomes increasingly relevant to Kingdom Hearts III, to the point that it may become just as critical to the main plot as the other so-called “side games.” Unchained χ could be the answer to the long-standing Twitter campaign to bring #ChiToTheWest and to smartphones everywhere. 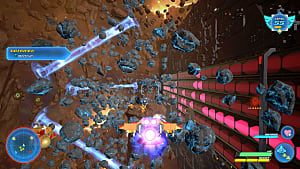 Games Kingdom Hearts &quest;&lbrack;chi&rsqb;Kingdom Hearts 3Kingdom Hearts Unchained &quest; Genres ActionAdventureFree to PlayRPG	Platforms iOSAndroid	Tags kingdom hearts unchained ? It's about time we get more of a taste of what's to come in Kingdom Hearts III. I myself have been waiting *impatiently* for some insight into what could be the most nostalgic train wreck of my young life haha. Hopefully Kingdom Hearts Unchained χ isn't akin to lightly snacking on an empty stomach though. It's been 10 years since Kingdom Hearts II already, so I'd hate to dip a toe just to have hope and then be stranded in a desert until my 30s. I'm just crossing my fingers for the tiniest shred of information from E3, otherwise we'll be in the dark until November. D: Until then, I'll just be playing Birth by Sleep over and over and over and over . . .